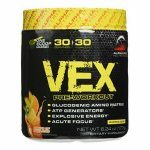 The price for the Alpha Pro Vex Fruits Of Paradise (30 serv) drops from $29.99 all the way to $16.99, when you use Supplement Hunt coupon code ‘vexpre2‘ during checkout. Buy 1 MuscleMaxx Pre Apocalypse – 50 serv & Get ONE FREE for $29.95 at A1Supplements. This is the best total price we could find by $30. 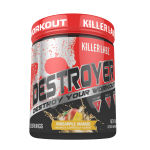 Deal Categories: Coupons and Pre Workout Products.Stores: Killer Labz.